Concluding the 2-part BLACKEST NIGHT tale of Superboy-Prime! The Black Lanterns have forced Prime to face his deepest and darkest fears, but what - and who - are they? 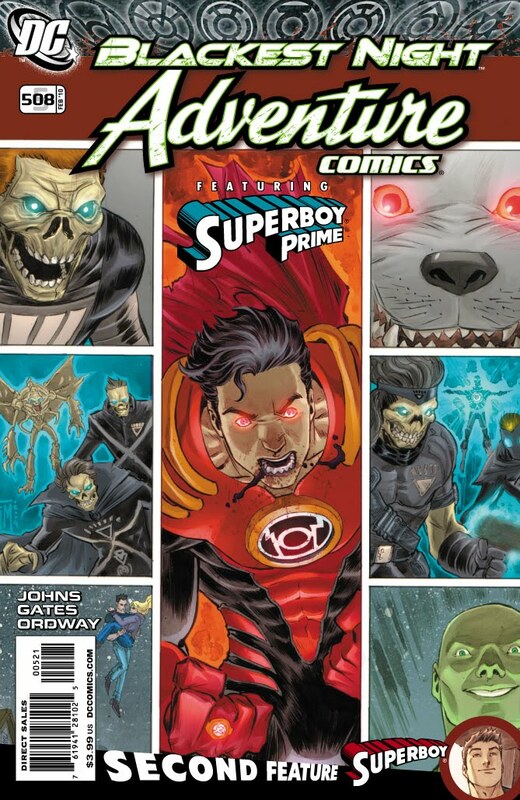 And how will Superboy-Prime strike back after this devastating attack? Plus, Conner Kent faces off with Superman's greatest enemy in an exciting co-feature by Geoff Johns and Francis Manapul. That's right: Superboy confronts Lex Luthor! MAJOR BUMMER #12 (Jul 98), cover art by Doug Mahnke. YOUNG JUSTICE #35 (Aug 2001), interior art by Todd Nauck/Andy Lanning. SUPERGIRL #79 (Feb 2003), cover art by Ed Benes/Alex Lei. SUPERGIRL #79 (Feb 2003), cover art by Ed Benes/Alex Lei. Cover scan from Mile High Comics. TOYFARE #75 (Sep 2003), cover art (n/a). TOM STRONG #22 (Nov 2003), art by Chris Sprouse/Karl Story. PARADISE BAR & GRILL #6 (Jul 2004), cover is an homage to SILVER SURFER #11 and similiar to CRISIS ON INFINITE EARTHS #7, thanks to Joe Collins. 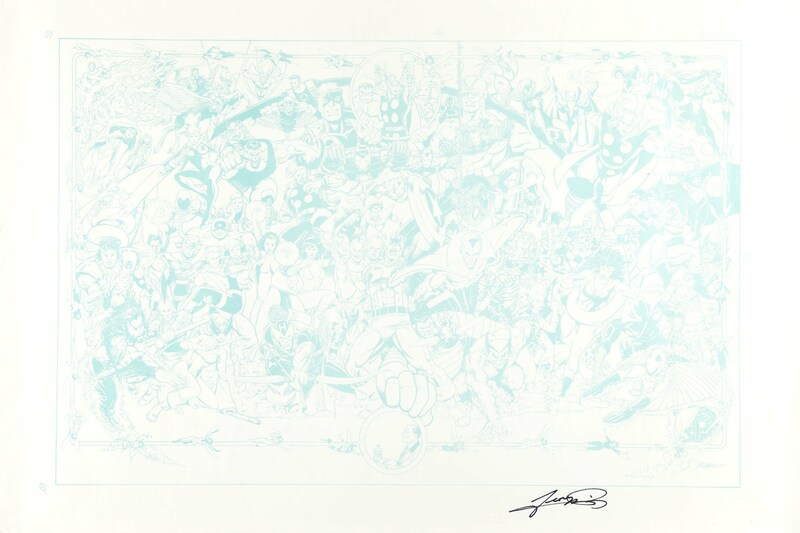 DEATH OF SUPERGIRL (1999), art by George Perez, based on CRISIS #7, commissioned by Eric Hinton. 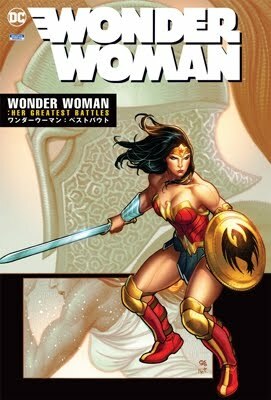 DC Comics has released solicitation information and images for new comics and products shipping in December 2009. When you're through checking out these solicitations for new releases, be sure to visit CBR's DC Comics forum to discuss these titles and products with fellow readers and fans. Retailers please note: This issue will ship with two covers. For every 10 copies of the Standard Edition (with a cover by Jerry Ordway), retailers may order one copy of the Variant Edition (with a cover by Francis Manapul and renamed and renumbered ADVENTURE COMICS #508). Please see the Previews Order Form for more information. Trace the history of some of the most popular DC Comics characters with these special two-pack action figure sets! Each set includes two full-sized figures packaged together one based on art from the character s early appearances and the other based on art from the modern era. One collectible trading card featuring each character will also be included in each package. All figures feature multiple points of articulation and include display bases and character-specific accessories. 4-color clamshell blister card packaging. It’s Monday — have you seen the cover to ADVENTURE COMICS #5? Because of the holiday, “blogging will be light” today. Meaning, this is basically it. Also, I’m on vacation. Heck, I might be on the beach as you read this. But fear not — thanks to great advances in blogging technology, it’ll be like I never left. You’ll get your regular dose of Source goodness at the usual times. But please, try to miss me. Oh, right. I promised the cover to ADVENTURE COMICS #5. Well, here it is. See you in a week.